Originally Submitted to FurAffinity.net on Aug 24th, 2017 06:46 AM. Before it was transferred to Inkbunny it had 63 views and 1 favorites. Mega Ability - Eliminate: If the user KOs an opponent with a recharge move (such as Hyper Beam), the user does not have to recharge the following turn. 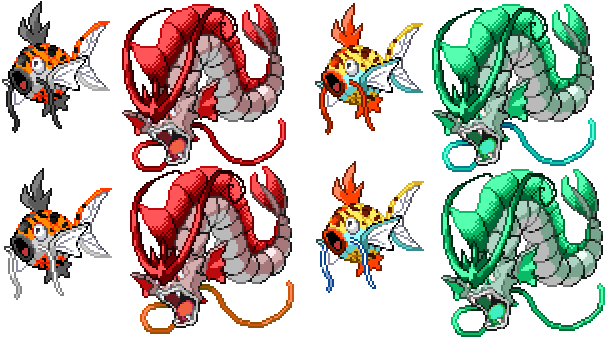 Altaran Magikarp and Gyarados are being used in Pokemon Sardonyx: Raised to Win.